Vegas sure has come a long way since its days of cheesy motifs and smoky casinos. Don’t fret, if those are the reasons you go to Vegas, they’re all still there; but if you’re looking for resort-style luxury with access to your favorite casinos and hotels, CityCenter may be just the thing. 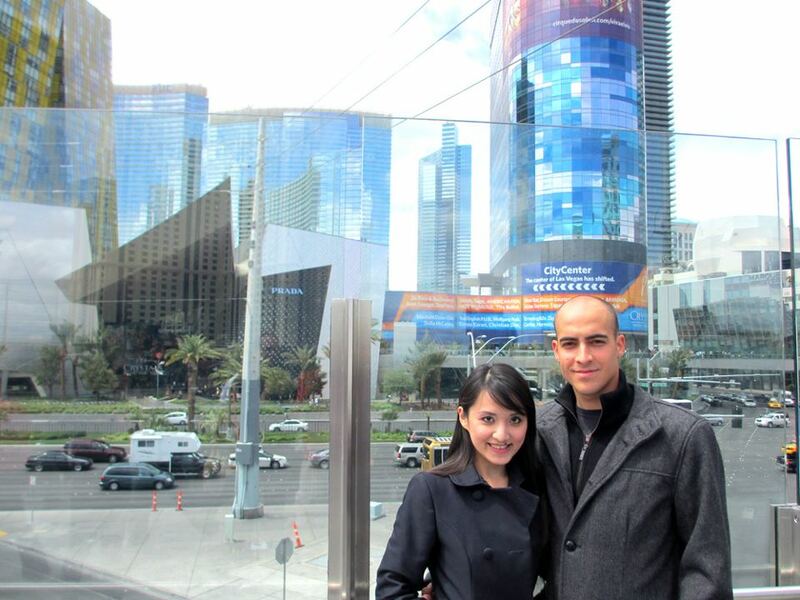 We stayed at Vdara, a hotel that touts suites-only accommodations and non-smoking allure. We were steps away from the Aria Hotel & Casino, so the craps tables were always within reach. As should be expected of Vegas, it takes a good 15-20 minutes to walk to other casinos; but with visual opulence everywhere, it really isn’t even noticeable. Larger-than-life digital billboards attract attention at every corner and the slick architecture of the Crystals shopping center inserts humility in an uncompromising manner. I would like to point out, however, of all the upgrades the casinos have made, push-button slot machines just don’t quite do it for me. Watching your money deplete at lightning speed just isn’t that gratifying. I’d like for more of these to make a comeback. I agree 100%, push-button slot machines are an abomination.